Rockets move on from Melo. This is Allen Iverson all over again. 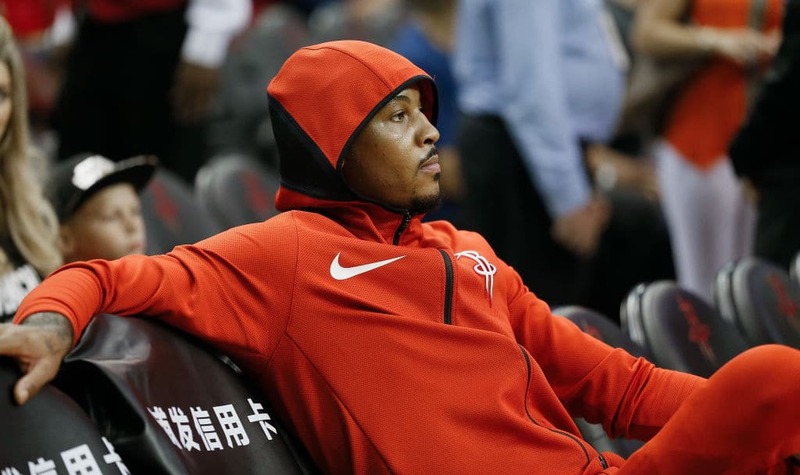 What the Rockets asked Carmelo Anthony to do “wasn’t fair to him as a Hall of Fame player,” says head coach Mike D’Antoni. D’Antoni says it was better for both sides to cut ties instead of asking the 34-year-old 10-time NBA All-Star to accept an even more reduced role. I mean he wasn’t really paying that badly in his 10 games in Houston, after signing a one-year, $2.4 million deal in the offseason. I guess all is fair in Love and Basketball — except this. We’re just hoping Melo finds a good fit. Perhaps back in New York — or even Denver.